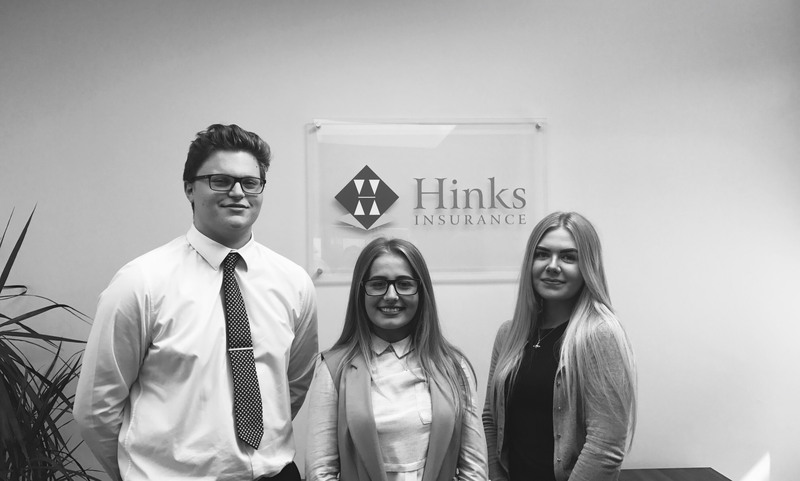 We are delighted to introduce three new members to the ever expanding Hinks team! Ebony Goodwin, Chelsea Platten and Nathan Saleh have all recently begun trainee roles with us. I am 19 years old, and interested in musical theatre, dancing and singing. My best memory is achieving my goal to perform the lead role in High School Musical at Hull New Theatre. I loved every minute. In my spare time, I go to the gym and spend time with family and friends. I am doing a lot of home studying to help me progress in my career. Before I joined Hinks, I completed an apprenticeship in Level 2, Business Administration. I have completed exams in Business Studies, Business Administration, English and Maths. How are you settling in so far? I am settling in great! Everyone is really friendly and helpful. I was really nervous on my first day, but as soon as I met the team I was made to feel at home. Mince and Mash – random I know! I also love chocolate. My magic power would be to read people’s minds. Before joining Hinks Insurance, I was studying A Level Law, Business Studies and ICT at Wilberforce College. I was also working part time as a waitress. What encouraged you to choose Hinks Insurance to start your career path? I have always been interested in business studies, and knew that an apprenticeship would be a good option for me. When the opportunity at Hinks Insurance came up, I was very interested in working for such a well established, local company. Insurance offers a variety of options for me to progress, and I am eager to learn as much as I can. I have felt really welcomed by the team, and everyone has been so supportive and friendly. The working environment is a big change to a classroom, but I am really enjoying this new stage in my life. Tea – Milk, one sugar! My best memory is a family holiday in Spain a few years ago. I love spending time with my family, and it was great to spend time with them all in the sunshine. Tell us a little bit about yourself Nathan? I am 18, and consider myself to be ambitious and hard working. I am eager to succeed in business and am very focussed on learning as much as I can. In my spare time, I am interested in travel, and spending time with my friends and girlfriend. I have been here a few months now, and have progressed from an Office Admin role, to a trainee member of the Commercial Team. I work closely alongside Julie, one of our Directors’, and am learning a lot about this industry. The team here, is very professional, and have really helped me to settle in. They are sociable out of work too, which has been really great in helping to get to know everyone. What were you doing before you joined Hinks Insurance? I was at college, studying A Level Maths, Business Studies and IT. I also worked in a call centre. To be able to teleport anywhere in the world! Coffee – lots of it!